Now in his 28th year of service, The Rev. G. David King was ordained by the Toronto Conference of The United Church of Canada, having graduated from Queen’s Theological College (Queen’s University) in Kingston, Ontario, with a Master of Divinity degree. David’s initial pastoral assignment was in rural Saskatchewan and in the intervening years has served both larger and smaller congregations in Ontario (Markham, Brooklin, Toronto, Port Hope and Beaverton); the last 2 pastorates he functioned as an intentional interim ministry practitioner. 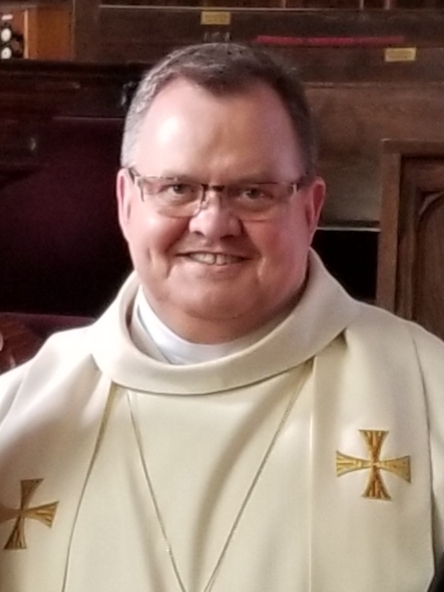 Further to his pastoral ministry engagements, David has also worked for the denomination’s General Council Office, initially in Toronto, and then as deployed personnel in the Bay of Quinte Conference. In this latter position his duties included supporting congregations and presbyteries in their relations with ministry personnel, assisting in the resolution of congregational dissidence, and future-forward planning. Along the way, David has completed a variety of professional studies such that he is designated/recognized as an Intentional Interim Minister, a Certified Grief Recovery Specialist, an Insight Institute Funeral Celebrant, and a conflict intervenor. He has served the Church at many levels of its governance, including being Secretary of Presbytery (Hills & Shores) and a Commissioner to the 42nd and 43rd General Councils. 2012 saw David named a recipient of the Queen Elizabeth II Diamond Jubilee medal in recognition of his “contributions to Canada” principally in relation to his work as a Command Chaplain with the Toronto Fire Services – a post he held for 5 years. When not otherwise engaged in church responsibilities, David enjoys renovating his 186 year-old home, crafting stained glass pieces, making beeswax candles, travelling internationally, and following the Canadian political scene. With maternal family members having lived in the Quinte Region in years gone by (and being buried locally too), David is truly delighted to be reacquainting himself with the area and its people. Rev. King was appointed to Bridge Street United Church as its Intentional Interim Minister, by Kente Presbytery, for a 3-year term beginning July 1, 2018.